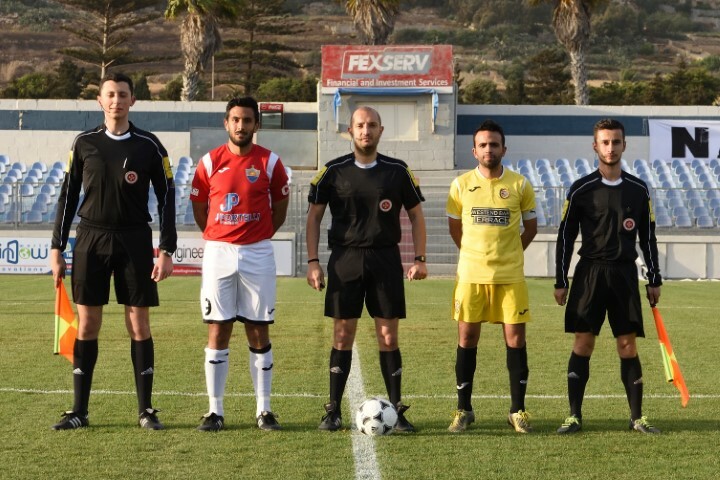 Muscat, C. Abela, D. Farrugia, D. Krstic, S. Miloskovic, J. Buttigieg, B. Said, S. Cassar, Sa. Attard, R. Da Silva, N. Stojanovic. 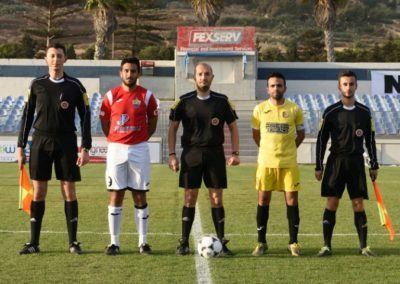 Grima, J. Azzopardi, D. Bogdanovic, M. Hrubsa, G. Hili, S. Bajada, J.M. Vella, M. Stojanovic, J. Cefai (M. Xerri), R. Buttigieg, H.T. Barbosa Honorato. 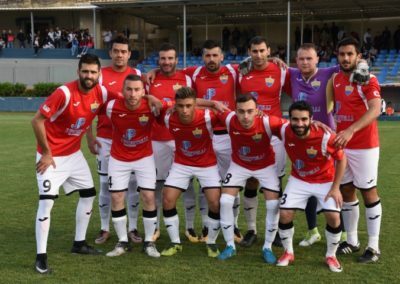 Xewkija Tigers obtained a close win over Nadur Youngsters in the second semi final of the BOV GFA Cup and therefore earned the possibility to end up a disappointing season by winning the second most prestigious honor in Gozitan football for the eleventh time in their club history. 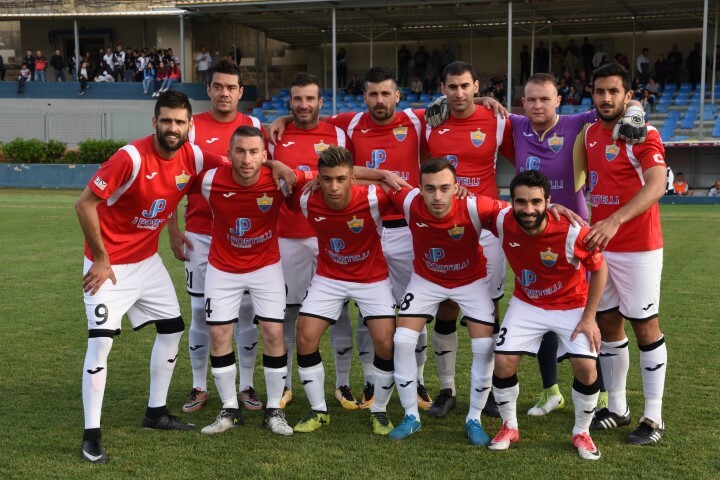 Nadur, who ended runners up in the Gozitan championship this season, were also aiming for the possibility to win an important trophy after a number of years and they were therefore serious contenders for the qualification at stake in this encounter. As expected, the match between Xewkija and Nadur evolved into a typical cup tie where the victory could have gone either way. Nadur seemed more offensive for most of the time and enjoyed a one-goal lead that arrived in the opening stages of the second period. However, the Youngsters failed to capitalise form their best scoring opportunities so that they suffered Xewkija’s reaction, which arrived midway through the second period, and ended up conceding two goals in the space of four minutes that decided the issue. 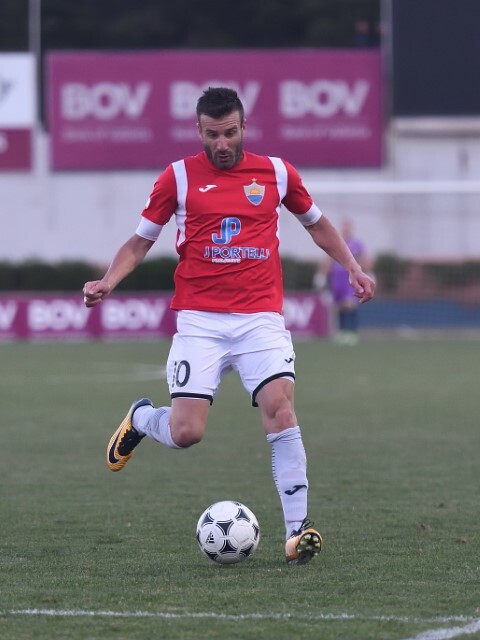 For this match Nadur had Shaun Attard missing due to a suspension while Xewkija were once again without the service of striker Claudio Antunes due to an injury. Play was quite balanced during eh first half as the two defensive departments were often in control of the respective strikers. Nadur created a good scoring opportunity on 6 minutes when Stanimir Miloskovic entered the area with a personal action but his shot aimed towards the far post was partially saved by Xewkija’s goalie Mark Grima and the defense continued to clear the danger. Xewkija replied with a direct free kick by Daniel Bogdanovic that ended just wide and on 26 minutes Nadur’s Brandon Said had an attempt from a good position that ended away from goal among protests by Nadur’s players who were claiming that the ball got a deflection by the defense. 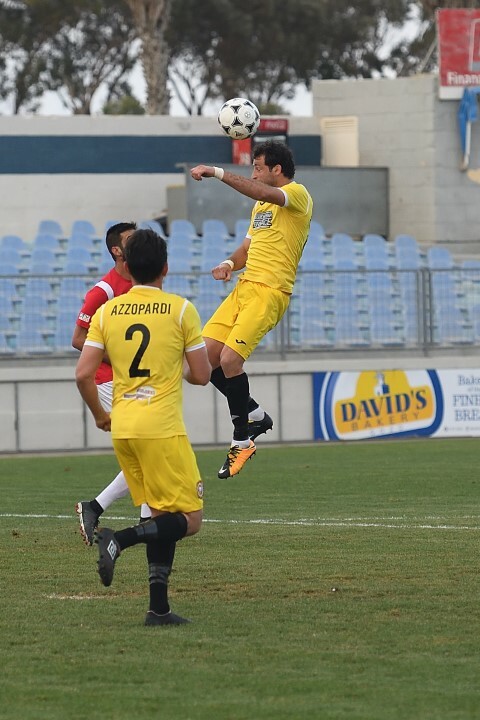 Nadur threatened Xewkija’s rearguard on 36 minutes but a strike from outside the area by Stefan Cassar ended high. During the final stages of the first half Nadur continued to produce more danger and on 39 minutes a curling shot by Stanimir Miloskovic following a personal effort ended inches away from goal. Nadur had an excellent start to the second period as they opened the score on 47 minute when Stanimir Miloskovic took the ball following some misunderstanding between central defenders Daniel Bogdanovic and Martin Hrubsa. Xewkija had an immediate reaction and on 50 minutes Rodney Buttigieg took the ball following some hesitation by Nadur’s defense to clear the ball but the close ranged shot was stopped by the post and the defense cleared the danger from the goalmouth with difficulty. On 54 minutes Nadur could have doubled the score but two consecutive attempts by Brandon Said and Stanimir Miloskovic, following a low cross by Darko Krstic were blocked by the defense with the goalkeeper beaten. Xewkija leveled the score on 68 minutes through a header by Rodney Buttigieg following a cross by Gennaro Hili. Xewkija kept insisting and on 71 minutes an excellent strike from outside the area by Daniel Bogdanovic ended just over Nadur’s goal. 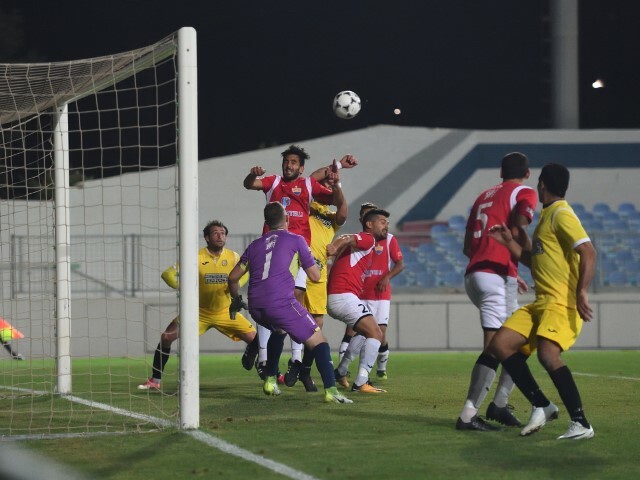 Xewkija tuned the result in their favour one minute later through a fine header by Halleson Thiago Barbosa Honorato following a cross by Shaun Bajada from the left flank. 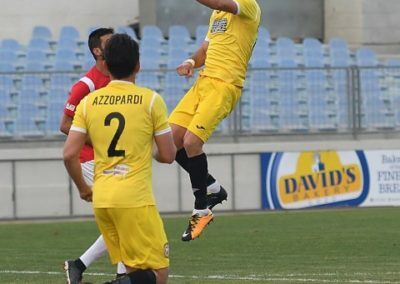 Nadur had an immediate reaction and on 77 minutes a header by Ronaldo Da Silva following a free kick from long distance by Nemanja Stojanovic ended just wide. One minute later Nadur protested for a penalty when a close ranged header by Brandon Said was blocked by the defense but the referee ordered a corner kick. On 86 minutes Xewkija went very close to add another goal but a free kick by Daniel Bogdanovic ended just over the crossbar. 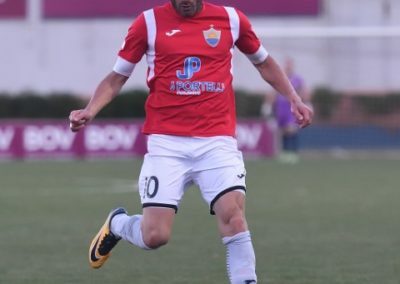 On 89 minutes Nadur operated a dangerous action inside Xewkija’s area through Stanimir Miloskovic who had his first attempt blocked by the defense and from the rebound the same player had his low shot that was saved by goalie Mark Grima so that the score remained unchanged until the final whistle.